The cupcake was a nice vanilla. Moscato is a very sweet wine, so it provided a nice flavor. I’m not entirely sure if I will make this again. I have a lot more recipes to try before re-working this one again! The cake was an interesting texture with a crunchy outside. Since the moscato burned out in the oven, I used an apple corer to create a crater in the middle of the cupcake and added one teaspoon of moscato. Then I re-covered the cupcake. 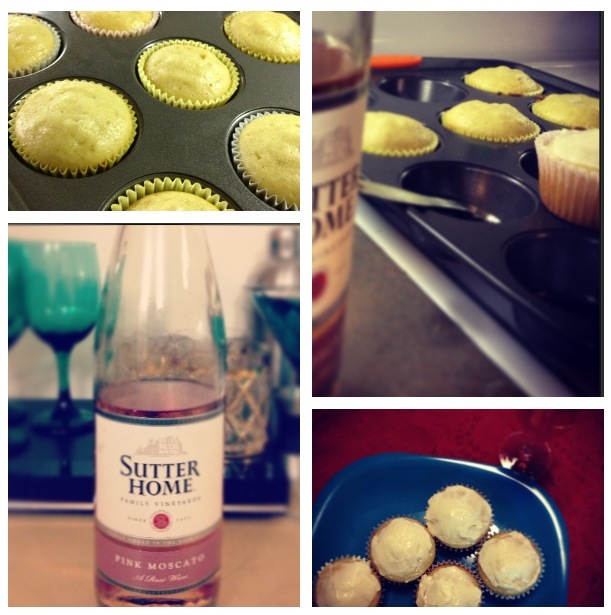 Moscato is so sweet that the frosting tastes like vanilla. No matter how much you add, the flavor will be a creamy vanilla.